I have been discussing, debating, teaching, and learning about Bible prophecy in online forums for the last 20 years, 4½ of them at Worthy Christian Forums. (Have intensively studied the subject since 1973.) Most of these articles, distilled out of all those years of study and debate, address the great majority of questions which repeatedly crop up on Bible prophecy forums. However, about one-fifth of the articles focus instead on important principles about the nature of man, the heavens, and the Tabernacle and Court. In the copying-over of these articles onto this site, the type-sizes and faces have sometimes changed, generally becoming smaller. You can enlarge the text by keying the Ctrl and plus (+) keys, more than one time if neccessary. To revert to normal, use the Ctrl and minus (-) keys. I would like to offer thanks and appreciation to George for allowing me to do this blog on Worthy, as well as for his overall service to the Christian community for the huge work he has put into this site. A brief explanation of this blog’s primary focus: End Times prophecy as viewed from the long-ignored Hebraic perspective. Provides the Hebraic background of, and explanation for, Paul’s use of the term “the Last Trumpet” in 1 Corinthians 15:51; then explains its connection to Paul’s often-ignored Rapture prophecy in Hebrews 12:18-28. Shows that all of the primary events of King Davidʼs latter days, and up through the early events of the reign of King Solomon, allegorically portray the sequence of events of the End Times from the Great Tribulation to the establishment of Christ’s own kingdom-reign from Jerusalem. Some “strong meat,” quoting passages from many Old and New Testament prophecies and Hebraic allegories, that reveals much not commonly understood about the Abomination of Desolation, Great Tribulation, the Manchild, the Lawless One, and resurrections of the righteous and unrighteous dead. Provides a basic description of the Kingdom- (Millennial-) Age’s ecclesiastical, governmental, and commoner employments and responsibilities; and shows how these roles are both similar to and differ from comparable roles in the Mosaic/‘Jewish’ and Church Ages. 7. “The Stars Will Fall From Heaven” = Pole Reversal? Shows how passages from Matt. 24, Luke 21, and Rev. 6, 9, and 12, about the stars falling from heaven in the era of the Second Coming, together indicate a reversal of Earth’s poles. Evidence about such pole reversals in the past is presented for comparison. Shows how these prophecies outline the political/military/religious events to take place from the period just before the Abomination of Desolation up through the demise of the Son of Perdition at the Coming of Christ in the clouds of heaven. An introduction to the prophecy of Revelation 1:7, and parallel Old and New Testament prophecies: the primary implications of “every eye will see” Christ when He comes in the clouds. An expanded view of how this event was presaged at Mount Sinai, especially concerning those of a soulish nature. Beginning of an understanding about ascents toward the LORD. Explains all of the essential elements of Rev. 12, including the Woman, the Manchild, the time in history, and the 1260 days. Explains why Matt. 24:4-14 and Matt. 24:25-31 are two separate but closely related prophecies. Shows why the earthquakes of Rev. 6:12, 11:13, and 16:18 are indeed three separate quakes, and not, as some claim, all the same one. Shows that 2 Thes. 2:3’s Son of Perdition will follow in the pattern of Judas, the Bible’s only other Son of Perdition; contrary to common misconceptions about his role in the End Times. An explanation of Rev. 11:1-2 in a question-and-answer format, including details about heavenly and earthly sanctuaries, and who in them may remain or get expelled. 19. When Does the Lord Smite Edom? Details Latter-Day events upon earth, including the Lord’s punishment of Edom, that are little understood by the Church. Debunks a number of false presumptions about “The Antichrist” that are taught in modern-day churches. 21. The Psalm 83 War: When? An explanation of the historical background of Psalm 83 and related OT texts, and the modern false presumptions about them. Some of the reasons why the Great Tribulation will likely be much shorter than most people think. Explains the different words for “love” in the Greek language, and God’s uses for these loves in bringing His people into fruitfulness and unity. Explains the prophetic application of OT laws about the firstfruits, the firstborn, and the full harvest, as these laws relate to the End Times. An explanation of who these people will be, and what their heavenly role will be in the End Times. A short biography of Antiochus Epiphanes and his times, using interwoven passages out of Daniel and 1, 2, and 4 Maccabees. Shows how the god-king Antiochus Epiphanes led the transition from the Greek Empire to the Roman Empire, and how the latter empireʼs posterity is found in modern Anglo-European governments. Shows how Daniel 11:40ʼs King of the North “in a time of an end” will commit comparable acts, and in the same sequence, as did Antiochus Epiphanes, therein fulfilling both Old and New Testament prophecies. Presents a more literal and accurate translation of Daniel 12:11-12, and explains what this prophecy reveals about the sequence of End Time events. Describes where in the sequence of End Time events the 1260 days/3½ time/42 months prophecies of Daniel 7 and 12 and Revelation 11-12-13 will be fulfilled, what will happen in those days, and how they will end. Begins a seven-part series showing why the Tabernacle and Court together represent Godʼs Divine Pattern of Creation, Man, and the Gospel. This series starts with the various levels of meaning portrayed by the Altar and the Feast of Passover. Reveals the principles represented by the Partially-Enclosed Court, the Laver, and the Feast of Unleavened Bread. Reveals the principles represented by the Holy Place of the Tabernacle; its Lampstand, Table of Showbread, and Altar of Incense; and the Feast of Weeks/Pentecost. Reveals the principles represented by the Most Holy Place of the Tabernacle and the Ark of the Covenant. 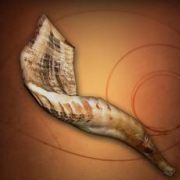 Reveals the principles represented by the Feast of Trumpets/Rosh Hashanah, and the Day of Atonement/Yom Kippur. Reveals the principles represented by the Feast of Tabernacles/Feast of Ingathering respecting the resurrection of the dead. Reveals the principles represented by the Eighth-Day Solemn Assembly/Shmini Atzereth respecting the New Jerusalem. Begins a seven-part series about this highly-controversial prophecy. A detailed translation from the Hebrew is provided for each verse, with the relevant Hebrew grammar explained, beginning here with verse 24. Explains why Danielʼs original vision of the pesha/rebellion/apostasy of the Jewish priesthood and people under Antiochus Epiphanes must be examined next, in order to set the prophecy of Daniel 9:24-27 in its proper context. Concludes the review of Daniel 8 by pointing out some critical English-text mistranslations that have led many people to misunderstand key passages of the prophecy. A detailed translation and grammatical explanation of Daniel 9:25. A detailed translation and grammatical explanation of Daniel 9:26, followed by a summary of the three current primary views on its prophetic meaning. A very detailed translation and grammatical explanation of Daniel 9:27, which reveals various mistranslations found in different English versions of the Bible. 44. Daniel 9:24-27 Examined, Part 6: Do Verses 26b-27 Prophesy Future Events? Lists the seven specific prophecies found in Daniel 9:26b-27, and tests whether the belief that they will be fulfilled in the future can be substantiated by other biblical End Time prophecies. 45. Daniel 9:24-27 Examined, Part 7: Were Verses 26b-27 Fulfilled Historically? Tests the view that the seven prophesied events were fulfilled during the Jewish War of 66-73 A.D. Also, explains the reason for the time-gap between the 69th and 70th weeks.